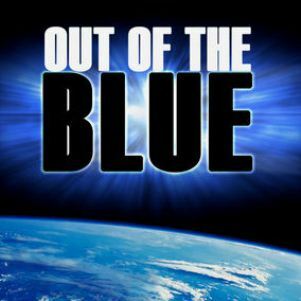 Out of the Blue is a UFO-alien conspiracy documentary film from UFOTV. The documentary “Out of the Blue” features some rarely seen commentary from government puppets, media employees, journalist, and many others who claimed to have seen a UFO or have special expertise in the area. Drake’s Equation calculation, which is based on nothing in our opinion, calculates that over 10,000 intelligent civilizations inhabit the Milky Way Galaxy. Lots of former military are interviewed. The case of the Phoenix Lights was scrutinized at length. Alleged alien aircraft scene during the Phoenix Lights event were over a mile long. Military pilots say over 50 b2 bombers could have landed on one of the crafts when asked if a bomber was possible mistaken for a UFO.